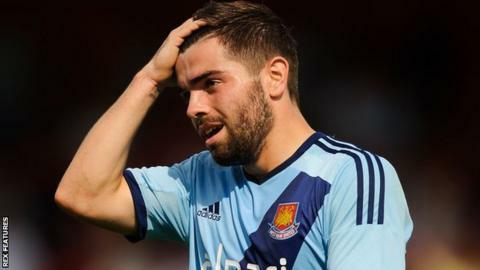 League One side Colchester United have re-signed West Ham striker Elliot Lee on loan until the end of the season. The 20-year-old has made seven appearances for the Hammers in all competitions, scoring one goal. Lee, son of former England player Rob, is in his second stint with the U's, having featured in four games during a loan spell in 2013. He also played four times for Blackpool after joining on a one-month loan in November, but failed to score a goal. Meanwhile, midfielder Byron Lawrence, 19, has left the U's after his contract was cancelled by mutual consent. Lawrence made only one appearance for Colchester after signing following his release by Ipswich in September 2014.